A collaboration among the Massachusetts Department of Environmental Protection, the UMass Dartmouth School for Marine Society and Technology, and the Cape Cod Commission, called the Massachusetts Estuaries Project (MEP), developed a quantitative methodology for communities throughout southeastern Massachusetts for nutrient assessment and management in their coastal embayment systems. As a participant in the project, Falmouth needed to contribute its share of the cost of evaluating four of seven Falmouth coastal ponds: Megansett Harbor, Wild Harbor, Fiddlers Cove and Rands Canal. The evaluation of the remaining three coastal ponds, Quissett Harbor, Salt Pond, and Falmouth Harbor, would be completed in Phase II of the project. In 2010, the Department of Public Works asked the CPFund for $142,985 in partial support of the $490,000 total cost of the Phase I evaluation of the coastal ponds. Town Meeting appropriated the requested amount to the Department of Public Works. The UMass Dartmouth School for Marine Society and Technology performed the assessments. The studies included analysis of nitrogen levels and sources and habitat assessment including water quality monitoring data, historical changes in eelgrass distribution, time-series water column oxygen measurements, and benthic community structure. Additionally, MEP provided Falmouth with a functional, calibrated and validated Linked Watershed-Embayment Modeling Tool for use in evaluating nitrogen management alternatives the Town was investigating, such as shellfish aquaculture, inlet widening of Bournes Pond, permeable reactive barriers, a demonstration storm water management program for the Little Pond watershed, and a demonstration program for eco toilets. 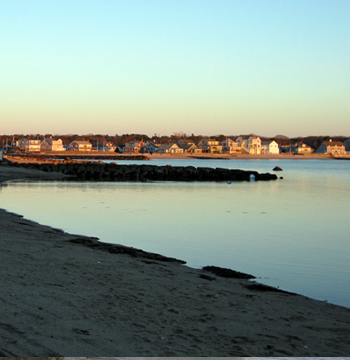 MEP issued a summary of the reports on Falmouth coastal ponds in March of 2013.